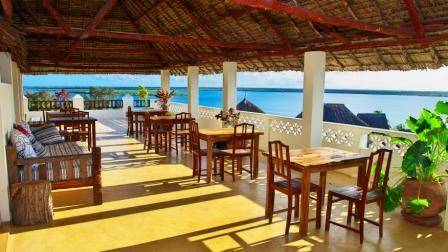 Msafini hotel situated in shella village of Lamu county of Kenya, it is located just 2 minits walk away from the water front. Msafini hotel is the place where you can enjoy a silent environment and have a complete view of the whole village as well as clear scenery of the Indian Ocean. It has a top roof restaurant where you enjoy a par anomic view of the sea, manda Island and the sand dunes, also you can have your breakfast as you watch the sunrise and lunch, dinner as you watch the full moon and the sunset. We have adequate accommodation with option of twin rooms, double room beds, triple rooms, all rooms are self contained, our bathrooms have got hot water, and each room has its own balcony. We offer bed and breakfast, half board and full board services. Msafin Hotel served bed and breakfast, full board and half board. it has top roof restaurant and down stair restaurant, it also has a swimming pool. Half of the total amount or full amount to be paid as deposit 20 days before arrival. cancellation policies are 20 days upon arival 50% deducted in the amount deposited, 10 days upon arrival 70% deducted in the amount deposited, 5 days upon arrival 100% deducted in the amount deposited. 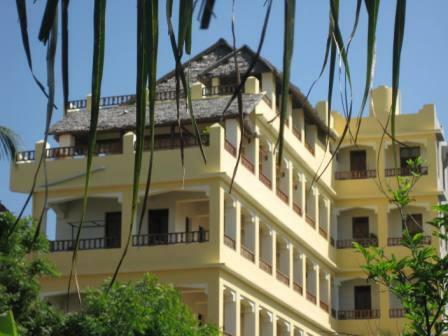 Msafini hotel situated in shella village of Lamu county near banana house.